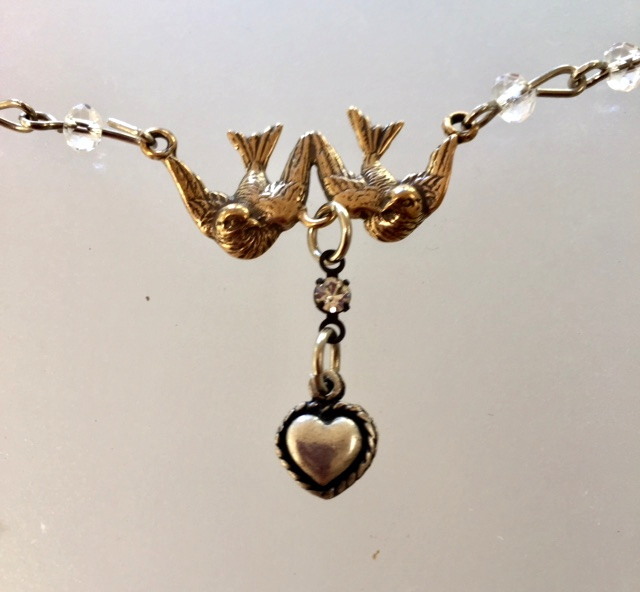 A Delicate faceted Clear Crystal necklace, upon which is draped a Silver Heart tower suspended by two Love Doves from Paris, France. Both pieces are cast from the original antique European pieces; over a century old, this lovely reproduction is hand crafted. They are aged to a wonderful old world patina. Necklace is 18-18" long, Doves are 1.25" W and Heart//Rhinestone is 1" tall. 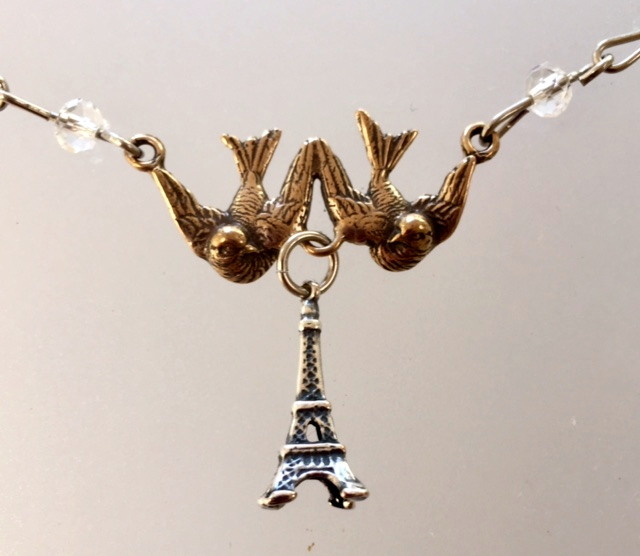 Can also be ordered with an Eiffel Tower Heart charm. Listed separately.